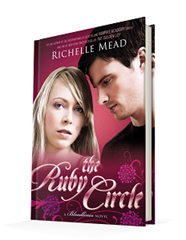 Published October 13, 2015, by Razorbill, The Ruby Circle by Richelle Mead is the final novel in her young adult paranormal/fantasy series, Bloodlines. The final book in the Bloodlines series splits the story between perspectives of Adrian and Sydney. It’s amazing how the novel presents itself through the eyes of both of these characters working to create a full and rich story for the reader. There is also the added element of the romance and the richness of the character development. The dynamics of the characters Sydney and Adrian is one that has grown through the series and even now it continues to grow as the pair have found themselves in a remarkable situation where they have to navigate the world where their romance is looked down upon by almost everyone they know. They have found themselves in such a difficult situation, and the tension created adds something more to the story. 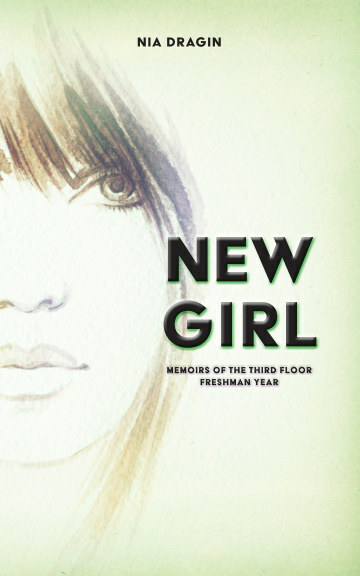 The dynamics of the characters are the strongest point of the story because the story, at a point, feels like it’s reaching into three separate directions and Mead, as talented as she is, is pulling those stories together almost in a rush. That’s not to say it’s sloppy and not put together well. It does maintain the fluidity, but it almost feels as though Mead wanted to make the story longer, had so many ideas she wanted to explore, and yet also wanted to end her series on a good note, with power and emotion. The added segments of the story, where it went on a left turn before returning to the right road, they feel rushed and are resolved very quickly. There is pain and love in those resolutions, and they aren’t without depth. It just feels as though more could have been done with those segments, that they could have been stories all on their own. Overall this was an exciting conclusion to the series full of some hilarious antics that will just make the reader smile. There is a levity to the ending of the series as Mead pulls the story together, while seemingly rushed, they’re still solid additions to the story and leave the future of the story wide open to explore at a future date and time should Mead desire it. In the end, there is something quite delightful about the ending here, it’s not entirely without its bitter sweetness, but the realism, the face such realistic aspects such as interracial marriages. I’ve always had professors in college say that genre fiction isn’t real literature. I’ve always disagreed with that sentiment because of stories such as this one where the story uses elements of fantasy and the paranormal to reach a broader and younger audience in which to tell a story with relevant issues. I’m going to say this because I’ve graduated, but all those professors have a stick up their tushies. Mead, and others like her, prove that by incorporating serious issues into fantasy and the paranormal means something. To challenges the prejudices in life like Sydney has in this entire series, going beyond what her family sees, it gives depth and meaning and highlights the reality of the world, making it easier to recognize the challenges some people face in life, to think about them.